ATBL was thrilled to receive a gift of 43 historically important letters, written by Queen Elizabeth I and senior courtiers, relating to the imprisonment of Mary, Queen of Scots. The collection, which is of significant historical importance, has been on loan to the Library for a number of years. The letters have been gifted by industrialist and philanthropist Mark Pigott KBE to the American Trust for the British Library and will enhance the Library’s extensive collections of original correspondence of the Tudor monarchs. The value of this in-kind gift was appraised at $555,000. $50,000 towards the acquisition of the Granville (Leveson-Gower) Archive from the Breslauer Fund. $50,000 for the Mostyn Psalter-Hours from the Breslauer Fund. $35,000 to develop an online learning resource exploring the richness and diversity of the BL’s collection of sacred texts. $12,650 to the Eccles Centre for American Studies at the British Library for authors’ stipends at the suggestion of Gwendolyn van Paasschen. $8,000 for Save Our Sounds at the suggestion of the Peck Stacpoole Foundation. $5,152 for conserving the papers of Thomas Cranmer at the suggestion of Caritas Foundation International. $2,500 for a 2017 subscription to the Arion Press at the suggestion of Judith Ogden Thomson. $1,000 to further digitize the Kings Topographical Map Collection at the suggestion of Arthur Holzheimer. An in-kind gift of Soviet Aviation, a 1939 book, appraised at $3,800, on the progress of aviation in the USSR donated by Patrick Donovan. $39,000 for a Freemasonry research and cataloguing project provided by the Albert Claude Christoph III Bequest. The British Library holds important papers relating to the founding and early decades of the Royal Society, as well as letters and papers of prominent Freemasons who were members of the Society. The most high-profile collection is that of Sir Joseph Banks (1743-1820), who became a Mason in the 1760s. Banks made his reputation as the naturalist on James Cook’s first voyage (described as “the first Freemason in Australia”) and, as President of the Royal Society from 1778 until his death in 1820, was a dominant figure in the development of British science. Banks’ collection of manuscripts, much of which is only catalogued at a summary level, is a treasure trove of the intellectual interests of the eighteenth century. The ATBL grant will fund a researcher for 12 months who will focus on researching the contents and history of the Joseph Banks collection and related materials, and enhancing the existing manuscript descriptions for publication in the online catalogue. This will be an important contribution to the British Library’s forthcoming James Cook 2018 summer exhibition. $45,350 to support the cataloguing of the American Collection of Artists’ Books. The American Collections at the British Library selectively acquires fine press printing, artists’ books and other materials which demonstrate the book arts in general and which exemplify new developments in production. Emphasis is given to collecting works which have a significant presence of text; an inventive engagement with the physical nature of the codex form; are accomplished technically, and which fit well with the Library’s existing collections. The British Library’s collection of fine press and artists’ books is likely to be the best of its kind outside of America, and includes works such as Andy Warhol’s Index (book), poems by Frank O’Hara with lithographs by Willem de Kooning, and Paul Muldoon’s collection of sonnets with engravings by Barry Moser, Encheiresin Naturae, amongst many others. 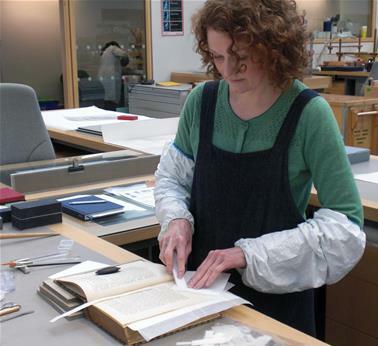 The ATBL grant will fund a full-time cataloguer at London St. Pancras for one year. $10,000 to digitize North American maps from the Kings Topographical Map Collection at the suggestion of David Rumsey, along with a matching gift from the Kress Foundation, and $1,000 from Arthur Holzheimer. $5,060 to digitize Anglo-Saxon manuscripts from the Royal Manuscripts Collection, at the suggestion of Elizabeth A.R. and Ralph Brown, Jr.
$3,060 to help preserve the papers of Thomas Cranmer, at the suggestion of the Caritas Foundation for Western Kansas. $2,500 for a 2016 subscription to the Arion Press at the suggestion of Judith Ogden Thomson. $1,000 for the conservation and digitization of a 19th century South Asian book, at the suggestion of Sumit Guha. $50,000 for Save Our Sounds. The British Library is home to the UK’s national sound archive, an extraordinary collection of over 6.5 million recordings of speech, music, wildlife and the environment, from the 1880s to the present day. The nation’s sound collections are under threat, both from physical degradation and as the means of playing them disappear from production. Global archival consensus is that sound repositories have just 15 years in which to save our sound collections by digitizing them before they become unreadable and are effectively lost forever. $21,465 towards the shipping, handling and insurance of US loans for the British Library’s 2016 exhibition Shakespeare in Ten Acts from the Folger Shakespeare Library and the Library of Congress. $8,553 for Discovering Literature – Virginia Woolf at the suggestion of Luci B. Johnson. Discovering Literature aims to cover the entire literary canon from Beowulf to the present day, enhancing the study and enjoyment of English literature for students, teachers, undergraduates and the general public. This project will have a wide-ranging impact for the British Library and the cultural sector. It will combine online and non-digital engagement in a unique way, which illustrates the far reaching relevance, impact and potency of great works of literature across the spectrum of creative thought, in every medium from theatre to film and music. It will stimulate interest in these works from new audiences and inspire new creative responses. $8,000 to digitize three Persian manuscripts (left) at the suggestion of the Peck Stacpoole Foundation. $5,900 for an American PhD intern working in the Ancient, Medieval and Early Modern Manuscripts section on all aspects of curatorial work, including researching and cataloguing to add information to our online Digitized Manuscripts website, answering inquiries, writing for the Medieval Manuscripts blog, and assisting in the upcoming major exhibition on Anglo-Saxons. $5,610 to purchase Freemasonry material through the use of the Albert Claude Christoph III Bequest. $4,200 for 2014 and 2105 subscriptions to the Arion Press at the suggestion of Judith Ogden Thomson. $4,000 to help digitize Florida maps and the Kings Topographical Map Collection at the suggestion of J. Thomas Touchton and Arthur Holzheimer. $1,000 for the Philatelic Collection at the suggestion of Richard P. Henke. ATBL also loaned sets of Chinese stamps from the years 1895 through 1985 valued at $12,410 given as an in-kind contribution from Mr. Henke. $221,921 for the lecture series at the British Library in memory of Naseeb Shaheen, Professor of Literature at the University of Memphis. $50,000 towards the international exhibition on Magna Carta to celebrate its 800th anniversary. All four of the surviving copies of the 1215 Magna Carta, two of which are held by the British Library, with the others coming from Lincoln Cathedral and Salisbury Cathedral respectively, were brought together for an international event at the BL in June 2015. $20,000 for Discovering Literature, an innovative new online learning tool which will revolutionize the way that readers learn about classic works of English Literature. The first phase, Victorians and Romantics, features over 50 literary works and 1,200 individual collection items explored through 8,000 pages, with 25 accompanying short documentary films shot in locations such as Jane Austen’s House Museum and Charles Dickens Museum. $15,000 for Shakespeare in Ten Acts, a major exhibition to commemorate the 400th anniversary of Shakespeare’s death. $11,000 for the Polar Exploration Project from the Gladys Krieble Delmas Foundation. $7,000 for the ongoing preservation of the Thomas Cranmer materials from the Caritas Foundation for Western Kansas. $35,000 to underwrite the shipping and courier costs of the British Library loan of Lewis Carroll’s (Charles Dodgson’s) diaries and the Alice’s Adventures Under Ground manuscript to celebrate the 150th anniversary of the book’s publication. $50,000 towards purchase of Philip the Good’s copy of the Mystere de la Vengeance by Eustache Marcade. The manuscript contains a unique text in French verse, written by Marcadé (d. 1440), a Benedictine monk, and is in two volumes. 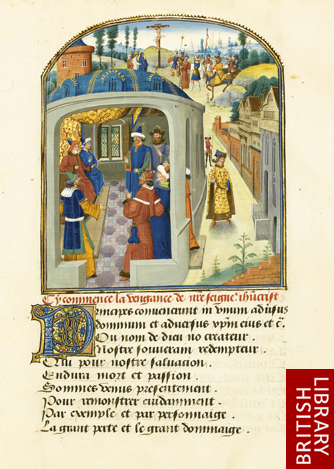 It includes twenty large miniatures by Loyset Lié(c. 1420-1479), usually in half-page compartments, and was written by the scribe Yvonnet le Jeune. This work was commissioned for Philip the Good (1396-1467), duke of Burgundy in c. 1465 and recorded in his post-mortem inventory. Philip was one of the great art collectors of the fifteenth century, and the most powerful ruler in Europe at the time―he was king in all but name. The manuscript is therefore of outstanding significance as a unique copy of the complete version of a secular, theatrical text, illustrated, perforce, in a completely original way, and as an example of a securely dated and documented work made for one of the great patrons of the fifteenth century. 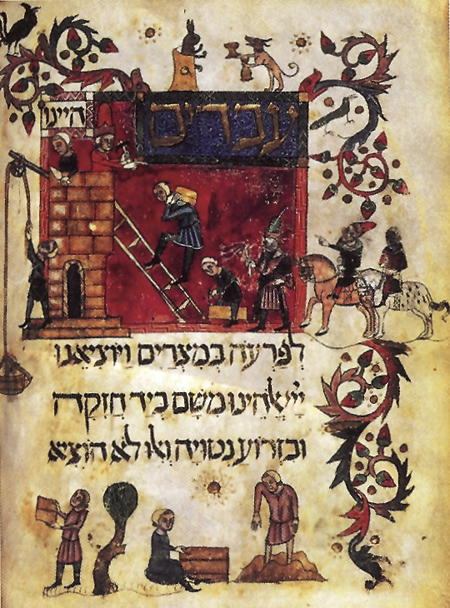 The British Library’s Hebrew manuscripts collection is one of the finest and most important in the world. The collection comprises over 3,000 items and is a vivid testimony of the creativity and intense scribal activities of Eastern and Western Jewish communities for over 1,000 years. Its volumes embrace many areas of Hebrew literature, with Bible and biblical commentaries, liturgies, kabbalah, Midrash, Talmud, Halakhah (Jewish law), ethics, poetry, philosophy and philology being particularly represented. Its geographical spread is vast and takes in Europe, North Africa, the Middle and Near East, and various countries in Asia, such as Iran, Iraq, Yemen and China. Many of the items are of international significance, such as the 10thcentury London Codex (one of the oldest Masoretic Bibles in existence), 142 Karaite manuscripts, 150 illuminated and decorated manuscripts, Aramaic papyri and many other highlights. The medievalist will work on the first half of the exhibition, which will tell the story of the origins, causes and content of Magna Carta, and its impact in the Middle Ages. This will involve contributing to exhibition publications and online resources which will be a major part of the public program. The intern would also contribute to the development of media stories to be used for the promotion of the exhibition from late 2014 through to August 2015. To fund an American PhD candidate as Book Conservation intern at the British Library for six months, providing him or her with the practical experience and skills required to enter a full-time conservation post within a library, archive or museum.to gain full-time employment within a major international library or archive. ATBL of Because Lansing Lamont was an ardent supporter of the British Library, a music lover and consummate popular musician, ATBL voted to give a collection of Gilbert and Sullivan manuscripts (currently on loan to the BL) to the British Library Music Department in his memory. The collection was valued by the donor at $247,750. Board member Roger Baskes generously donated an atlas to the ATBL, which we have loaned to the British Library for its Maps Collection. The 18thcentury Scotch Atlasby Mostyn John Armstrong contains 30 full-wash-colored engraved maps of Scotland, its roads, the environs of Edinburgh, and 27 of the various Scottish counties. This gift is valued at $10,000.00. 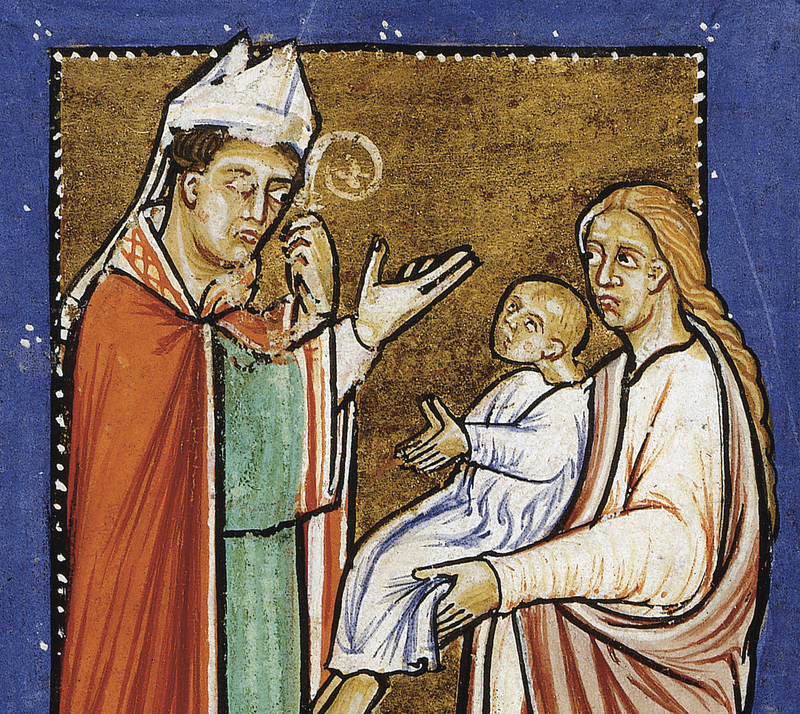 ATBL made a grant of $76,200 to help the BL complete the purchase of the St. Cuthbert Gospel, said to be the single most important manuscript in private hands in the UK. $50,000 of this amount was allocated from the Breslauer Endowment Fund; $25,000 from a suggestion by William Zachs, ATBL Chairman’s Council Member; $1,000 from Ian Torrance; and $200 from the International Anglo-Saxonists. The St. Cuthbert Gospel is the oldest intact European book. 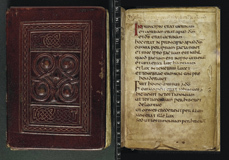 Made in the late 7th century, the manuscript contains a copy of the Gospel of St John, and was thought to have been placed in the coffin of St Cuthbert (c. 635–687) when he was re-interred at Lindisfarne in 698. It was rediscovered at Durham Cathedral in 1104 after the coffin had been moved to escape Viking raids. The Library has acquired the Gospel in partnership with Durham University and Durham Cathedral, and it will be displayed equally at the Library and in the North East. ATBL continued its support for cataloging and digitizing the King George III’s Topographical Collection, the North American views and maps. The grant this year of $65,000 includes $40,000 from ATBL contributions; $10,000 suggested by map collector and Chairman’s Council member William Ginsberg; and $15,000 from the Peck Stacpoole Foundation. The Gladys Krieble Delmas Foundation has continued to fund the education and training of an American intern at the BL. The intern selected would be involved in all aspects of the work of the Medieval and Earlier Manuscripts section, including responding to inquiries, providing talks for students and patrons, the selecting and presenting of manuscripts for display in the exhibition gallery, and cataloging. The intern will enjoy privileged access to manuscript research material, and will work alongside specialists with wide-ranging expertise. The intern’s primary focus would be on supplementing the online Catalog of Illuminated Manuscripts by researching and adding descriptions of medieval manuscripts and selecting pages to be photographed and reproduced in the catalog. 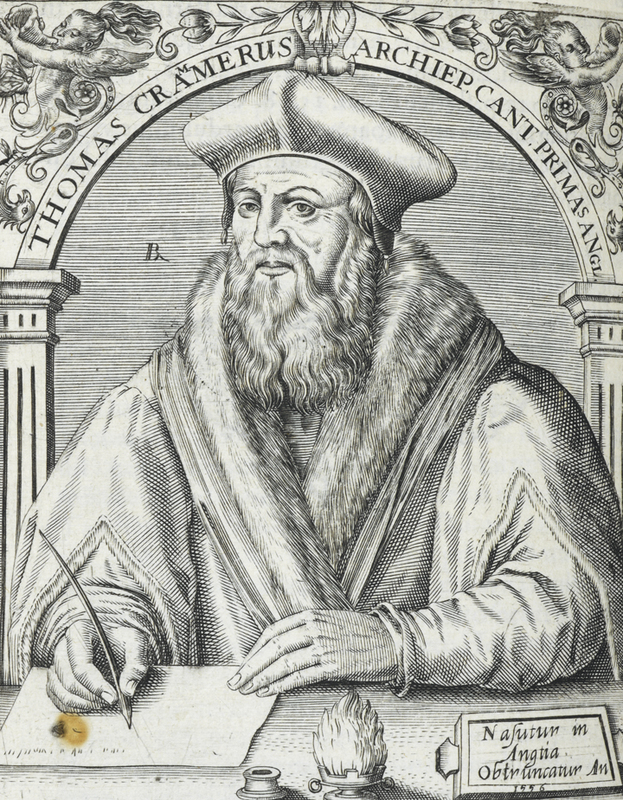 Thomas Cranmer (1489 –1556) was a leader of the Reformation as Archbishop of Canterbury during the reigns of Henry VIII, Edward VI and, for a short time, Mary I. He helped build a favorable case for Henry’s divorce from Catherine of Aragon which resulted in the separation of the Church of England from the Holy See in Rome. Along with Thomas Cromwell, he supported the principle of Royal Supremacy in which the king was considered sovereign over the Church within his realm. The conservation of books in the Cranmer collection is making good progress, although there are many thousands of books in this collection which are in need. Thankfully, the Caritas Foundation continues to fund this historically and theologically significant collection. In honor of Roly Keating, the new CEO of the British Library, the ATBL has donated the New General Atlas by Samuel Augustus Mitchell, Jr., to the Library. The atlas was on loan to the BL, but now becomes part of its permanent collections. Roger Baskes, ATBL Trustee, map lover and collector, has donated the 1826 edition of Anthony Finley’s A New General Atlas, appraised at $10,000, to the ATBL. ATBL has loaned it to the Maps Department at the BL to use as a resource for its collection. American photographer and writer, Michael Katakis, and his wife, Dr Kris Hardin, an anthropologist, worked in pre-civil war Sierra Leone. The new book’s title is Photographs and Words: The British Library Collection and is available at the BL shop and online. Fredric Woodbridge Wilson, curator of the Harvard Theater Collection, bequeathed a collection of Gilbert and Sullivan materials to Thomas Garrett who has graciously given it to the American Trust for the British Library. Since the British Library has wonderful Gilbert and Sullivan materials, ATBL decided to loan this collection to the BL. ATBL granted $10,000 to send the collection to London where it is on loan to the Library’s Department of Sound and Vision, which incorporates Music. The American Trust for the British Library, granted $5,700 to help catalog King George III’s Topographical Collection, the North American views and maps in memory of George Bell Adams, former Secretary and Trustee of ATBL. George was a great lover of maps and it seems fitting to dedicate this grant to his memory. The King’s Topographical Collection is the map collection of George III (reigned 1760-1820) and comprises approximately 50,000 printed and hand drawn maps, of all parts of the world. The material ranges in date from about 1540 to 1824. One of our Board members William Zachs alerted us to the sale of several unusual book bindings. Together with BL Curator of Book Bindings, Philippa Marks, they were able to acquire four outstanding examples of nineteenth and early twentieth century bindings. The bindings reflect the development of the 19th century trade in England, at a time when the introduction of mass production had a profound effect. These acquisitions fill significant gaps in the BL’s collection, particularly the works by women binders, an increasingly popular field of research. The four are Heath’s Book of Beauties (London, 1839) edited by the Countess of Blessington, bound by Westley of London; Ruskin’s Lectures on Art (London, 1890) bound by J M Dent & Co.; Austin Dobson, Proverbs in Porcelain (London, 1893) bound by Edith de Rheims; and Henry Newbolt, Songs of Memory and Hope (London, 1909) bound by C. R. Ashbee’s Guild of Handicraft. Contribution to the costs of the verbatim transcription of Leonard Rosoman’s life story recording for National Life Stories Artists’ Lives project. Mr. Rosoman was a British painter (1913-2012) whose works are in The Royal Collection, National Portrait Gallery, Royal Academy of Arts and the Tate Gallery. This transcript is available for listeners to consult and use as an enhanced finding aid when listening to the recordings onsite at the British Library at the BL Sounds website, http://sounds.bl.uk/. Users will be able to listen to the audio and read the transcript online, by logging into the site with a secure password. $1,600 from the Caritas Foundation for Western Kansas to continue conserving materials from the library of Thomas Cranmer. Roger Baskes, ATBL Trustee, has donated Memoirs of the Rebellions in Ireland, with annotations in the margins to the ATBL, with an appraised value of $3,500. The author is Sir Richard Musgrave, and it was published in 1801 in Dublin by John Milliken and in London by John Stockdale. ATBL has loaned it to the Maps Department at the BL to use as a resource for its collection. The American Trust approved $66,000 for the BL’s exhibition entitled, “Evolving English: One Language, Many Voices”. It will be the first ever exhibition exploring the English language in all its national and international diversity. Iconic items and recordings will explore how English is spoken in the UK, from rural dialects to urban youth-speak, and celebrate English as it is spoken by 1.8 billion people around the world. Michael Katakis has authored a number of books, including Despatches, The Vietnam Veteran’s Memorial, and, as editor, Sacred Trusts: Essays on Stewardship and Responsibility, and Excavating Voices: Listening to Photographs of Native Americans. In 1999, Michael was elected “Fellow” of the Royal Geographical Society; and in 2001 a joint exhibition of his wife, Dr. Kris Hardin and his, A Time and Place Before War, opened at the Geographical Society in London. The British Library acquired Michael’s photographic work in 2008 for its collection. The Library is now the repository for his entire work. The ATBL made a grant of $42,000 to the BL to publish some his and Kris’ work. The BL is often asked to loan material around the world. Two rare manuscripts from the 14th and 15th centuries were included in a show in Los Angeles at the Getty Museum last fall. Dr. Kathleen Doyle, Curator of Illuminated Manuscripts in the History and Classical Studies Department of the British Library, stopped off in New York to give ATBL major donors an opportunity to see the manuscripts up close and listen to their fascinating histories. 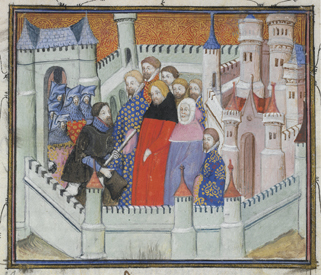 The first was “Histoire ancienne jusqu’a Cesar” (c. 1330-40) illustrating Greek and Roman history for a family in Naples. The second was “Histoire du Roy d’Angleterre Richard II (c.1402-1405) by Jean Creton, an historian and poet, sent by King Charles VI to France to accompany Richard II of England on his fateful expedition to Ireland. ATBL provided a grant of $10,255 for insurance and travel so that we could view these Illuminated Manuscripts in Sotheby’s secure facility. The Trust is continuing to provide a stipend for an intern in the Illuminated Manuscripts department under Dr. Doyle’s supervision through a previous grant in memory of William T. Golden, former Chairman of the ATBL. 2011 presented the British Library with the opportunity to contribute to the commemoration of the 150th Anniversary of the Civil War and, in doing so, to introduce its strong holdings in US Civil War materials to a wider audience. The Americas Collections team created a web feature for the British Library’s Online Gallery (http://www.bl.uk/onlinegallery/index.html), which highlights key collection items relating to the US Civil War, with a focus on British involvement in the conflict, which ranged from boycotting southern cotton to clandestine support for the Confederate States in terms of shipping and weaponry, leading to the infamous Alabama Case. $30,800 from the ATBL helped develop and launch the Online Gallery which coincided with our visit to the British Library and linked up with an Eccles Centre conference on the Civil War, featuring talks from leading historians. In 2010 there were two in-kind gifts. The first was Gilbert & Sullivan material collected by Fredric Woodbridge Wilson, late curator of the Music Library at Harvard University. He left his estate to Thomas Garret with instructions that this material be given to the ATBL. The manuscripts were valued at $247,750. Since the British Library has an extensive Gilbert & Sullivan collection, the ATBL has loaned the material to the British Library and was able to view it while in London on the last trip. Thomas White, husband of the late Leslie Scapino, donated a copy of her book “The Animal in the World Like Water in Water,” with illustrations by Kiki Smith, valued at $4,500, to the ATBL. The British Library has copies of other books by Ms. Scapino, so the ATBL has loaned this to the BL as well. The American Trust had set aside $66,000 to help defray the costs of mounting some seventy items from the BL to go on loan to the New York Public Library for its scheduled exhibition SACRED. Negotiations are currently underway for security and financing and the grant will be released contingent on the finalization of the project. $12,125 has been granted to catalog and digitize one thousand images form part of one of the world’s finest collections, namely the more than 100 medieval Hebrew Manuscripts, most of them illuminated in Europe. At present there is limited online access to these treasures which include the Golden Haggadah, the Barcelona Haggadah and the peerless Lisbon Bible. The project’s completion will add these treasures to the Library’s Digital Catalog of Illuminated Manuscripts. The ATBL grant was in honor of former ATBL Chairman William Golden, a longtime benefactor of the Library’s collection of Judaica. A $30,000 grant helped to acquire the Narbrough Autograph Journal and Charts. This acquisition of unpublished material detailing John Narbrough’s three-year voyage in 1969 – 71 to South America enables researchers to evaluate more thoroughly the explorer’s role in assessing the commercial potential of South America for England. A grant of $900 from the Caritas Foundation of Western Kansas continues the conservation of Thomas Cranmer’s library. The Library faced a $46,041 shortfall in its effort to secure the entire extant archive of the playwright, a recipient of the 2005 Nobel Prize for Literature. The ATBL had previously contributed $60,300 toward the purchase of the archive, the first part of which – Pinter’s letters and papers – the Library secured. The archive’s second part – Pinter’s Playscripts and film scripts – still required fundraising to cover the shortfall by a final deadline of October 31, 2007. The latest ATBL grant secures the archive. The collection is central to the BL’s acquisition policy for modern literary material and plays a vital part in the BL’s national campaign to highlight the importance of the literary papers of living writers. This lavishly illuminated medieval manuscript had been offered for sale by the late Lord Wardington. It had been bought by a German dealer, and was slated to leave the country when the British government deferred its export, pending an effort by the BL to raise the required funds. The American Trust, with a grant of $50,000, has joined three other UK organizations in helping secure the Hours for the Library. It will be exhibited in the BL’s permanent Ritblat Gallery of BL Treasures. The Wardington Hours contains a wealth of rich, colorful imagery. Produced by the Bedford workshop in Paris during the 15th century, the Hours, with its exquisite illustrations and intricate detailing, becomes an inestimably important addition to the Library’s outstanding collection of French illuminated manuscripts in the Bedford style. Privately owned until now, it will no longer be largely unavailable to researchers and scholars. Brian Houghton Hodgson was one of the most accomplished polymaths of 19th-century British colonial history: diplomat, zoologist, and pre-eminent pioneer in the field of Buddhist studies. As assistant commissioner for the British East India Company in Nepal from 1820 to 1840, Hodgson became celebrated for establishing a trans-Himalyan trade route from Calcutta to Peking, while single-handedly conducting relations with the Nepalese Court in a time of intrigue and hostility toward the British presence; he narrowly escaped death on several occasions. The ATBL’s 45,000 grant will enable the BL to complete its cataloging of Hodgson’s remarkable papers, a vast trove that includes 104 bound volumes that total more than two thousand items. John James Audubon’s landmark printing of the Birds of America in its great (and unwieldy) elephant folios, one set of which is at the BL, has always been a rich trove for scholars, but a physically difficult work to access. Now the Library intends to widen the audience for this hugely popular 19th-century work, easing access to all 435 of Audubon’s plates, by transferring it to the BL’s groundbreaking software program, Turning the Pages. TTP, with its cutting-edge technology, will enable users to lead, virtually, through the page-plates of Birds of America as though turning the pages of the original folio. An ATBL grant of $30,000 has made the whole production possible. $60,300 for the acquisition of the second part of the voluminous Harold Pinter archive, focusing on the playwright’s film scripts, play scripts, some of his poetry and prose. Pinter, winner of the Nobel Prize for Literature in 2005, is regarded as one of the greatest anglophone playwrights of the post-World War Two years. The Pinter collection is central to the Library’s acquisition policy for modern literary material, particularly that of living writers. $18,700 for the training of two interns in the Library’s Sound Archive. The Archive holds more than a million discs, 185,000 tapes, as well as other sound and video recordings. Yet there has been no full-time training programs in the UK for sound archivists. That puts the future preservation of Britain’s recorded heritage at risk. The Library’s new Centre for Conservation, therefore, will utilize its facilities to run master classes in sound archiving and will offer two internships per year for potential archivists. The purchase of a New Testament Bible (circa 1560s), composed in English, Tyndale’s version. The book, its front title containing a woodcut portrait of Edward VI, has been bound in 19th-century burgundy morocco. The only other known copy is in the St. Paul’s Cathedral Library in London. This purchase will fill an important gap in the BL’s collections. It was made possible by a $46,000 ATBL grant representing the first payout from the late Bernard Breslauer’s bequest to the American Trust. ATBL donated the papers of George Julian Harney valued at $128,851 to the British Library. George Julian Harvey (2/17/1817 to 12/9/1897) was a British political activist, journalist and Chartist leaders. He was also associated with Marxism, socialism and universal suffrage.